Silvia Francisca Rodriguez, owner of Discolandia Records, is retiring after 40 years of service to the Mission and Bay Area Latino communities. 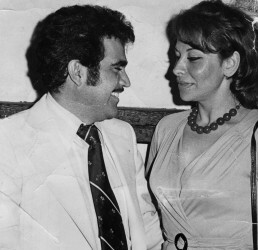 She closed the doors of her business on Jan. 16, 2011, laying to rest a historical period of Latin music known as “The Golden Age,” which has captivated generations since the 60’s. Silvia Rodriguez speaks with joy and occasional tears of a life filled with music, tragedy, love and success. Discolandia sold a wide variety of music from throughout Latin America and the Caribbean. 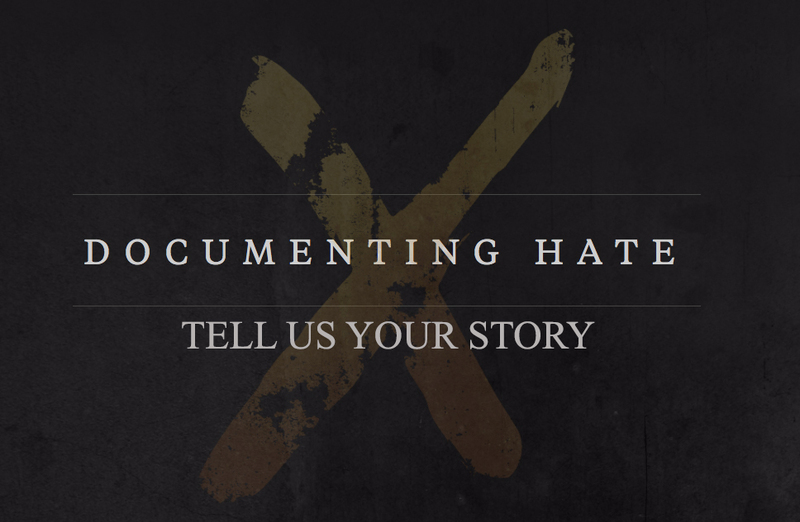 In 1982 she had the opportunity to move her business and open what is today known as Discolandia. Her mother had a store next to a place that she noticed was closing and Rodriguez, on her mother’s advice, decided to buy the business from theCosta Rican owner and christened it “Discolandia: La Casa de los Discos.” Now very contented, she began to sell music that the people requested. Little by little, she fell in love with her business. 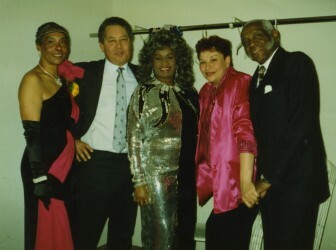 Silvia Rodriguez and her son, Bill Jr., pose with the Queen of Salsa, Celia Cruz and her husband Pedro Knight in Discolandia. Silvia and Bill had a love of music in common, which was an important ingredient when it came to buying a product and selling it to the public. 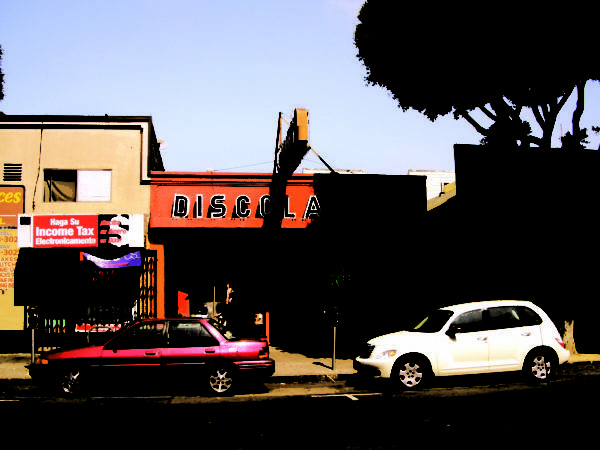 At that time there were only three stores in the Mission that sold music: “Musica Latina” on 26th Street, “American Music” on 20th Street and “Discolandia” on 24th Street. Discolandia also rented classic Mexican films starring Pedro Infante, Jorge Negrete and Maria Felix. It was one of the first stores to offer films for rent. Their son opened a store called “Fotolandia” which developed photos by the hour. His business grew and was successful but later had to close when he fell in love and got married. Rodriguez, however, continued with her records, delighting everyone with her huge selection of music from all of Latin America and the Caribbean. Artists such as Tito Puente, Oscar D’Leon and Jose Jose came to the city and she sold many tickets for all of the concerts. Through selling the tickets in her store, Silvia had no problem going backstage with the artists, always with her husband at her side. They sat together with Celia Cruz, Vicente Fernandez and many of the greats. “(…) that good fortune I had also, that through having the record store, they told us about their upcoming recordings, of the records they were going to record, and they thanked us for helping them,” says Rodriguez. Rodriguez has a beautiful collection of photos of her family with famous artists such as Hector Lavoe, Los Poetas de Mexico, Los Angeles Negros—who came to the Centro Obrero Social, a dance establishment in the Mission—Lupita de Alecio, Tito Nieves, La India, Gilberto Santa Rosa, Willie Colón, Chocolate and many salsa composers such as Luís Ramírez y Rey de La Paz, Lalo Rodríguez, Niche, Eddie Santiago, Pedrito Fernández, Tony Vega, Willie Rosario, Oro Sólido, Lisa López, Tony Cartagena from Perú, Sergio Vargas, Vicente Fernández, Celia Cruz, Los Hermanos Rosarios, Francisco Aguabella, one of Santana’s musicians, Juan Gabriel and Isabel Pantoja to name a few. Rodriguez explained how one day Juan Gabriel came and rented classic Mexican films to show to Isabel Pantoja on her United States tour. Later, they sent them back to her when they got to Los Angeles. This feeling of friendship and trust that Rodriguez brought to artists made them consider Discolandia their home. Rodriguez also talks about the ‘70s in San Francisco, when the Mission and Fillmore neighborhoods were music meccas where many local groups were born including Azteca, Sapo, Tower of Power, Ritmo 76, Benny Velardes y Su Combo and those who made it big such as Santana and Malo. The local groups also played at the Cow Palace, hotel ballrooms, Civic Auditorium and the Centro Social Obrero. In 2000 tragedy struck again when she lost her beautiful daughter Arlene to breast cancer at the age of 34, leaving behind her husband, two daughters and a son. An employee who had worked with Rodriguez for many years also passed away from a heart attack. She was left, as she says, alone, with the store on her shoulders and the company of her mother. This is the testimony of Silvia Rodriguez, a woman who had great success with her business in a Latino market, something which many in the United States haven’t managed to achieve without knowing English. This says a lot about the Mission, where it is possible as a community to achieve great things in business with the power and support of Latin dollars, if you have what the people want.